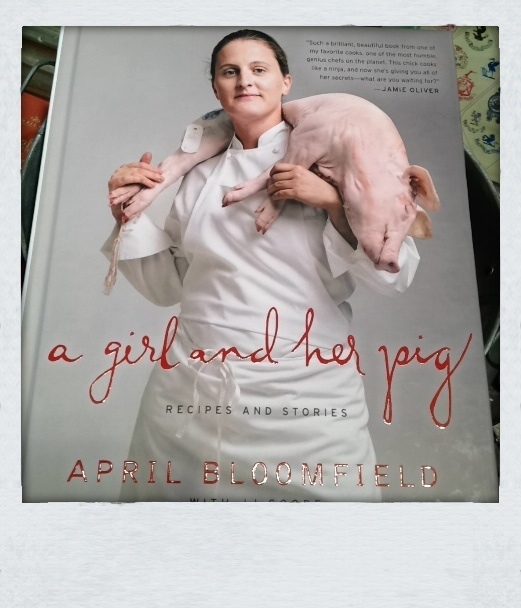 New books are arriving daily, and this one from English chef extraordinaire April Bloomfield most certainly grabbed my attention as we were walking around the other day choosing things to add to the website. That is some cover! Please forgive me vegetarian readers. For those of you unfamiliar with her, she is the meat-centric chef known for her gastropub fare. The Spotted Pig, the John Dory Oyster Bar, and our personal favorite, The Breslin. We spent a week at The Ace a few years back on a trip to New York, and the best part was that room service came from The Breslin. Needless to say, we consumed quite a bit of meat that week. The above book is filled with many recipes and stories–such a great combo for a cookbook.